It was a gift for my mom, she loves the large print & the spiral binding. It also has some challenging searches. Love the spiral binding. Use it in my travel/hosp./dr, because it is so unique. People ask all the time, 'where did I get it from.' Good price, quality and delivery. Will not travel w/o it. My mother is a word search fanatic but with failing eyesight, she was no longer able to do regular puzzles. She loved these puzzles and the little extras within as well. The spiral format is also a real plus. I recommend this product! The large print will help any elderly lady with her spelling and keeping her mind active. Makes a great gift. I use the book to relax from other books which are more intense. I gave one of my books to my brother, and he just loves it.the most that i like is, that it is a challenge to your mind. It also help to keep your mind alert.to me it is not just for the young, but for seniors to.i love it! I gave this as a gift to an elderly gentleman who had enjoyed Word Search puzzles until his eyesight began to worsen. He was very grateful for these books. Kind of wish it was bigger....I enjoyed it! Available elsewhere for less than $8... Shop around! I love to do word search puzzles. I am an older woman so I spend at least a half hour each day on word searches or sudoku to keep my brain working well. My mother loves word search. So Christmas gifts, they shall be. I am trying to keep my brain active and my vision is slightly impaired. I love the large print books! looking for books to engage elderly client, hope this will fill the need. I enjoy using word search books! Because I enjoy doing word searches and crossword puzzles. They are relaxing and fun. For mother, 92, with dementia. For the large print format. Very good fast and easy. I love word searches, it keeps your mind sharp, and really helps to keep you alert during the day! Have purchased previously and enjoyed the searches. My mom loves word search books!! No matter where she go,she will have a word search book in her hand. I think people fall in love with these books.Good way to eat up time when your in a waiting room at the doctors office! I"ll be wanting more soon!! Thanks! I finished the one I had & want another. I am also ordering for a 96 year old friend. I'm hoping with the large print it will help my mother increase her brain activity and still have fun finding the words. This looks like large print to work without straining eyes. 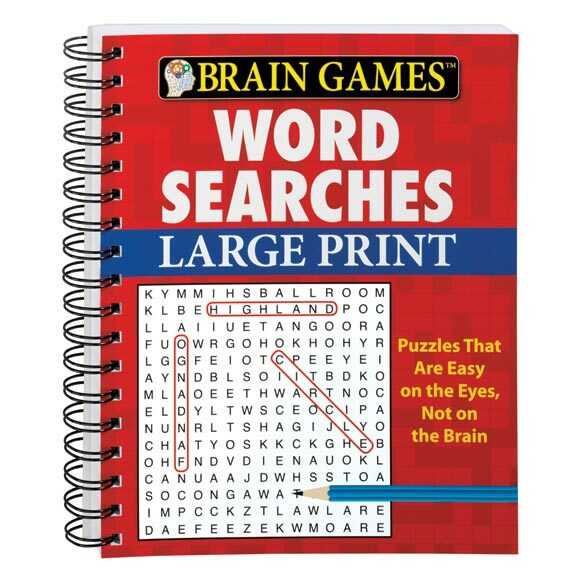 Love Word Searches and l was looking for Large Print! BEST ANSWER: Thank you for your question. Version 2 has different word searches in it. We hope this information will be of help to you. would like to know how many pages are in these word search books, vol 1 and vol 2? BEST ANSWER: Thank you for your question. 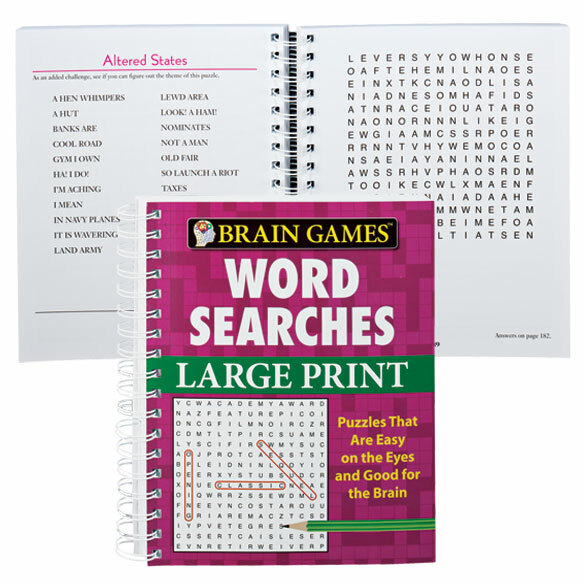 Each of the Word Search Books feature over 80 different puzzles with each spread on 2 pages. We hope this information will be of help to you. What's the difference between version 1 and version 2? BEST ANSWER: Thank you for your question. Version 1 is the purple cover and version 2 is red both have different puzzles. We hope this information will be of help to you. What different puzzle books in a spiral bound?